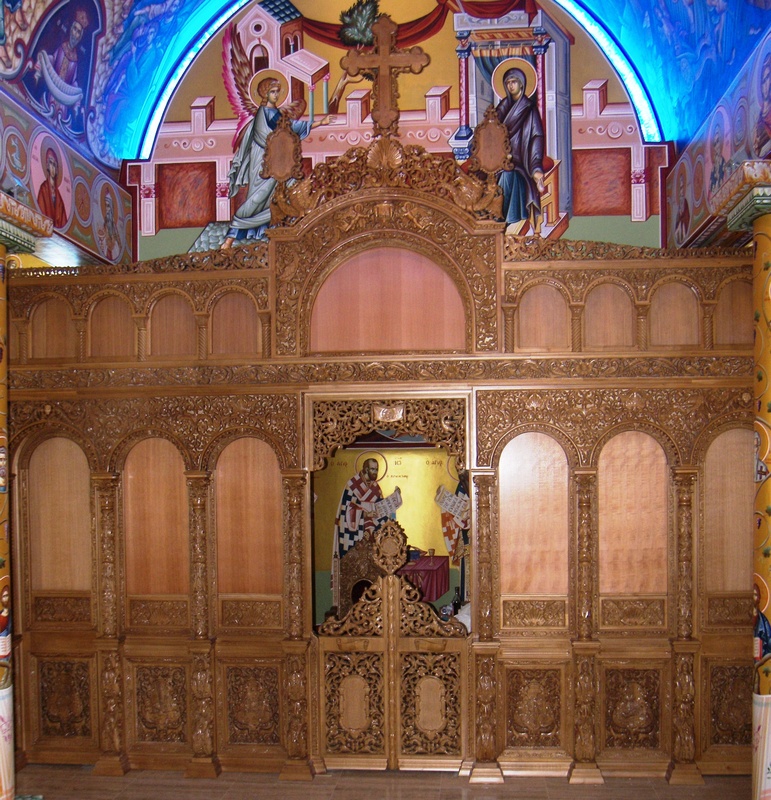 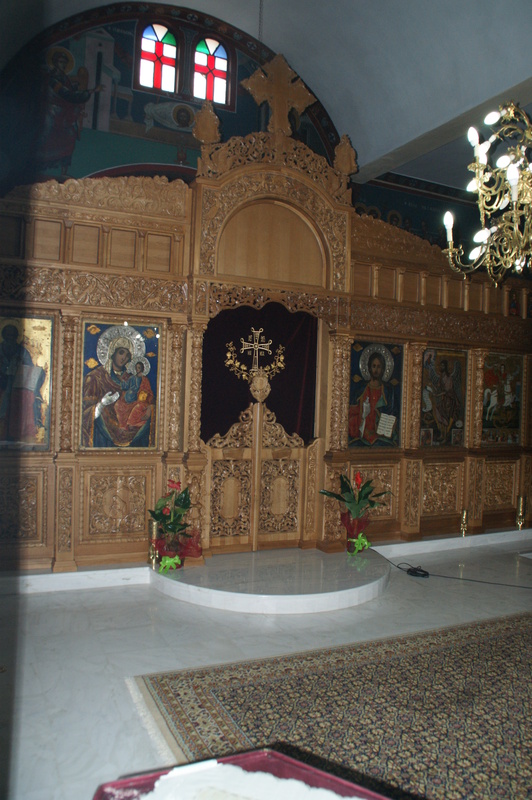 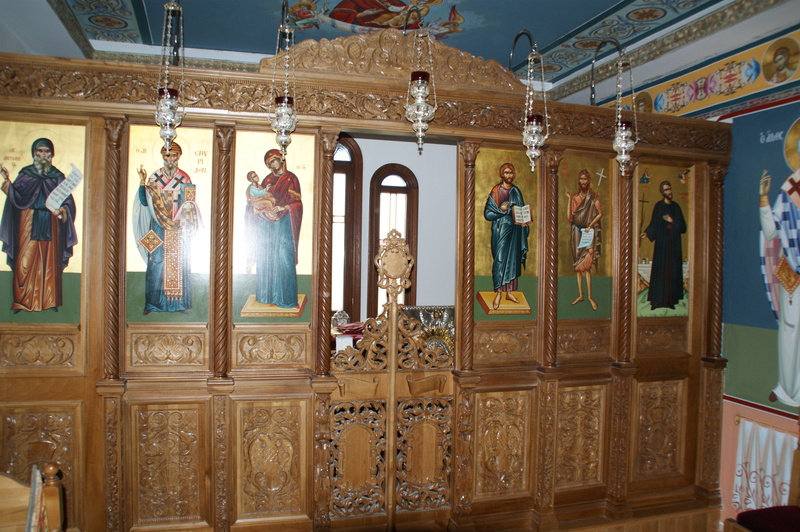 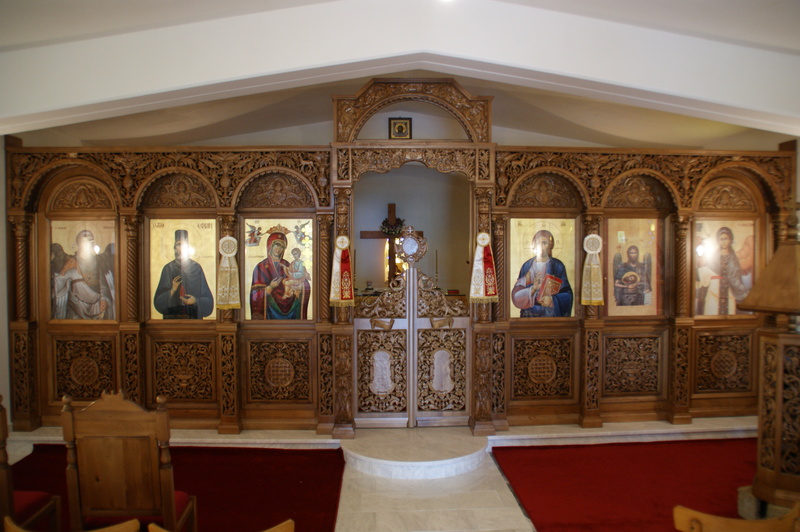 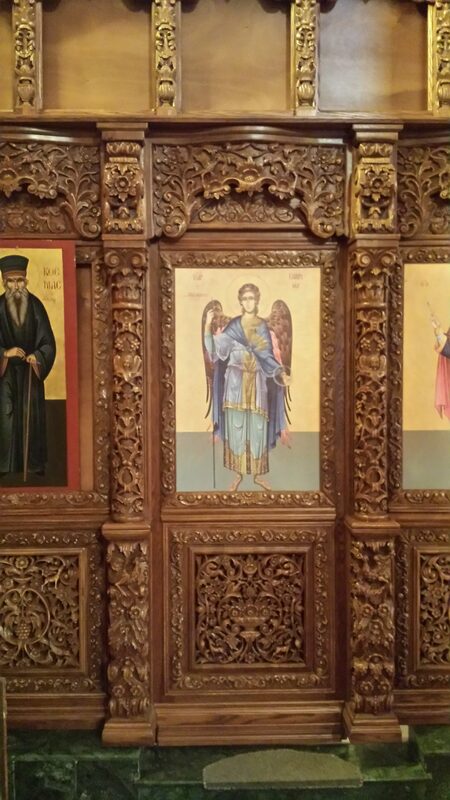 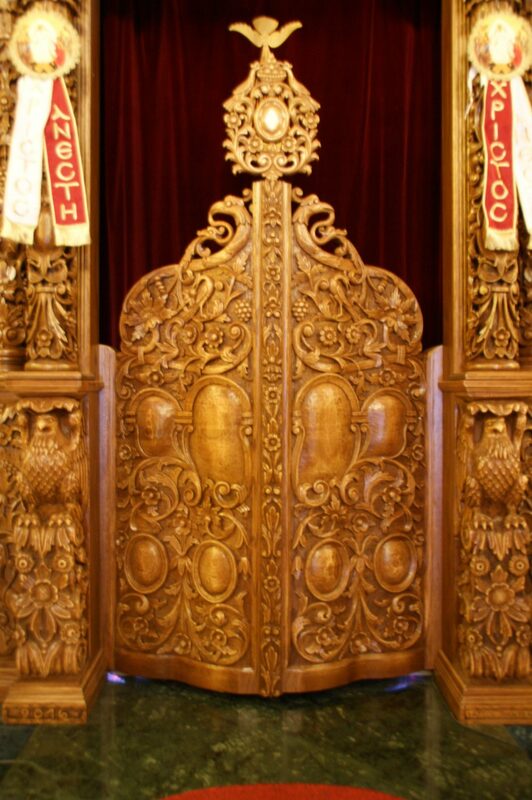 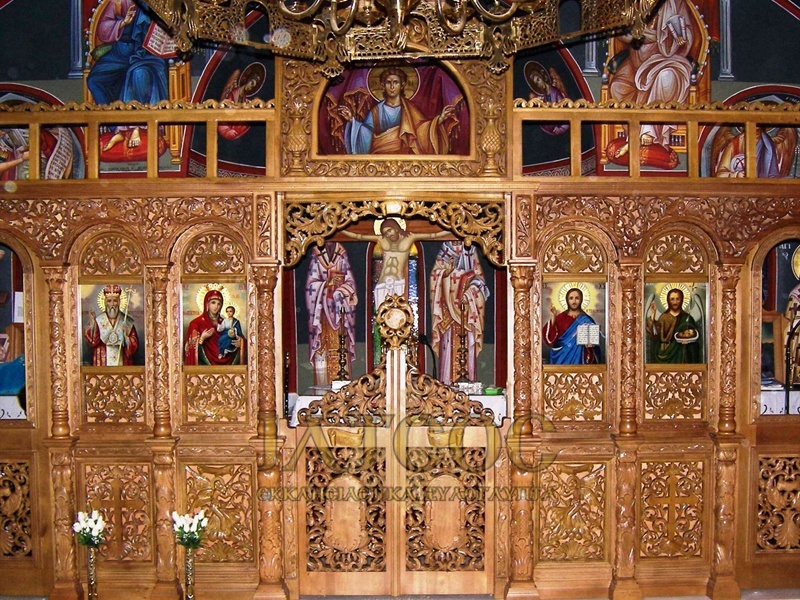 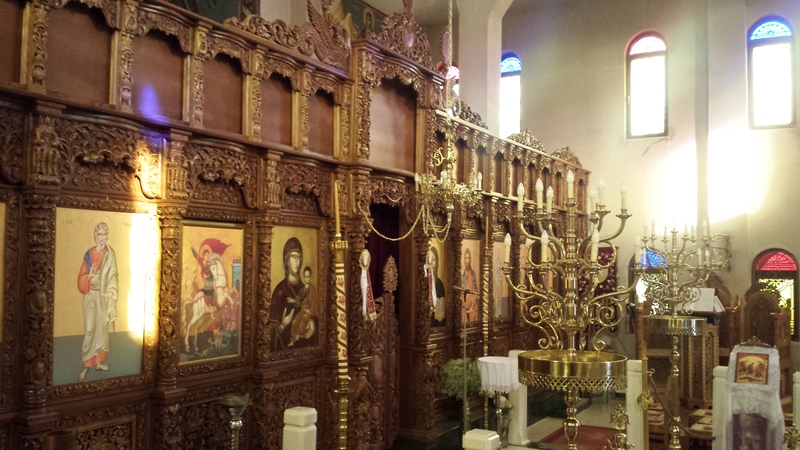 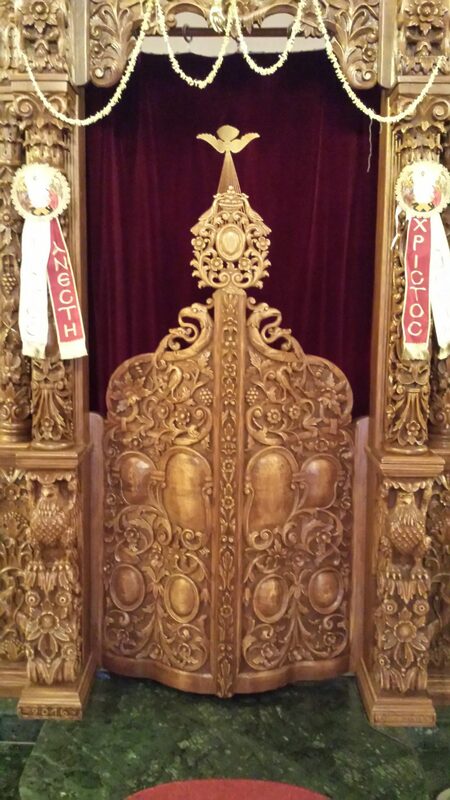 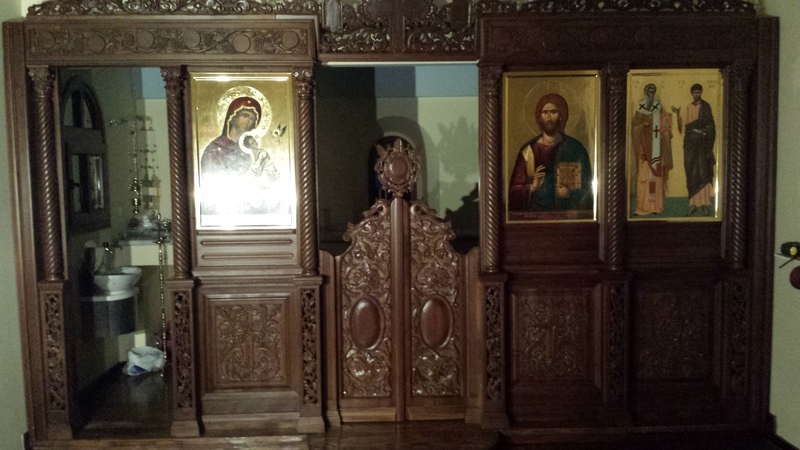 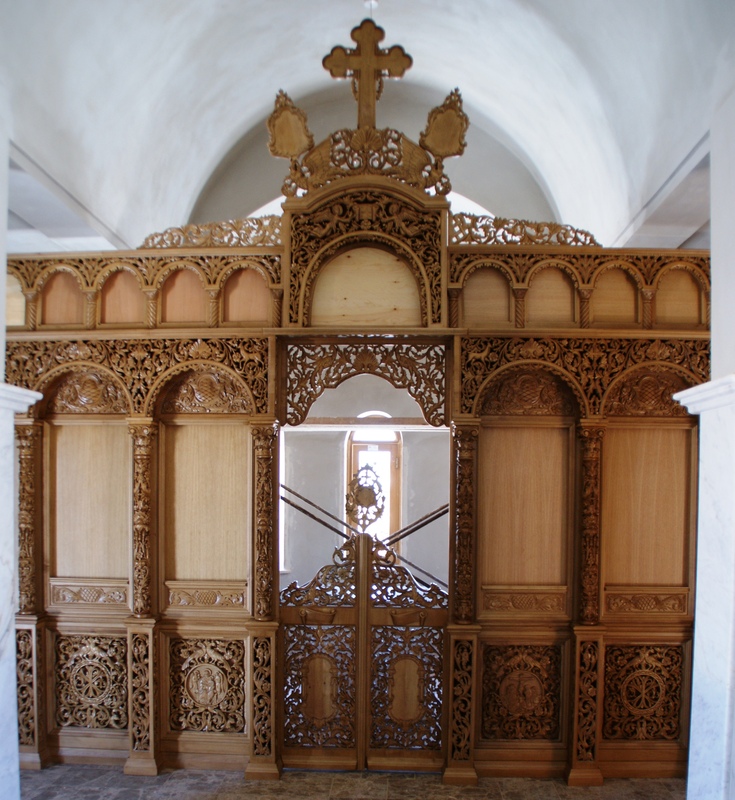 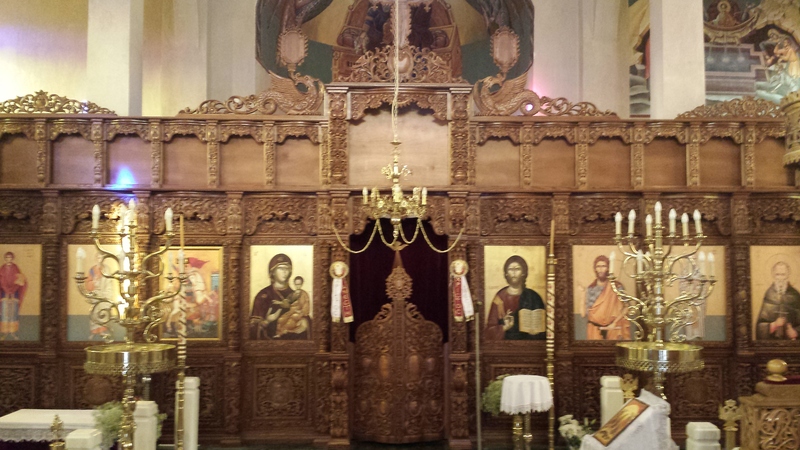 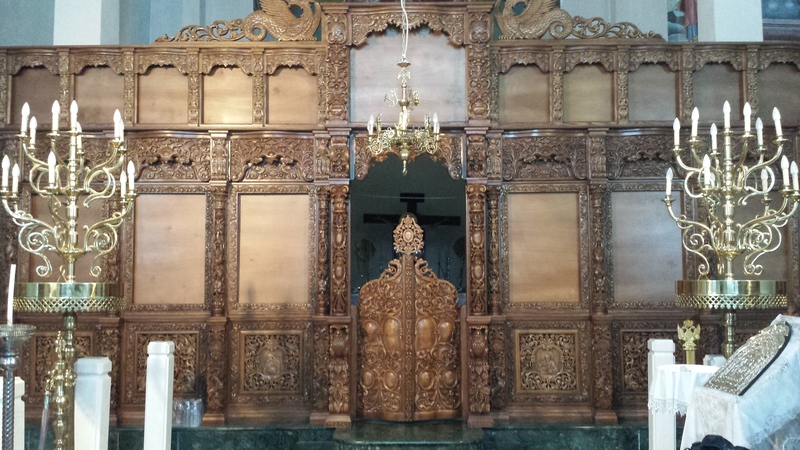 The surface of the Iconostasis is divided in three horizontal zones. 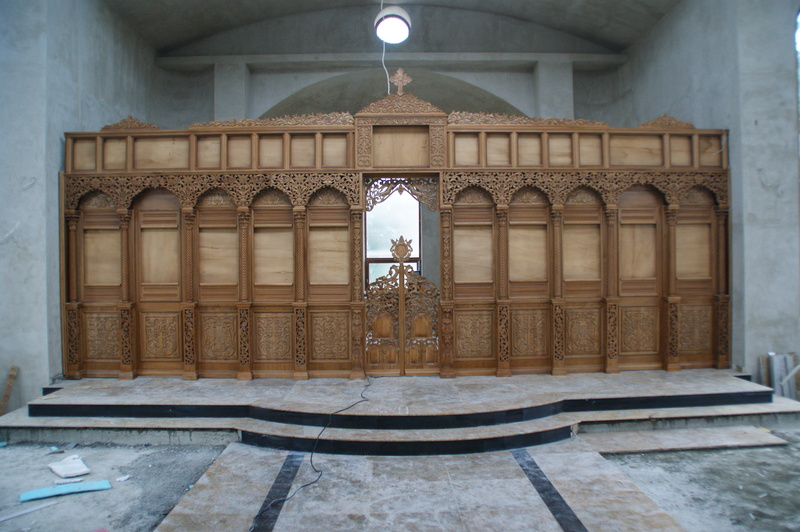 The lower one consists of rectangular parapets between low pillars. 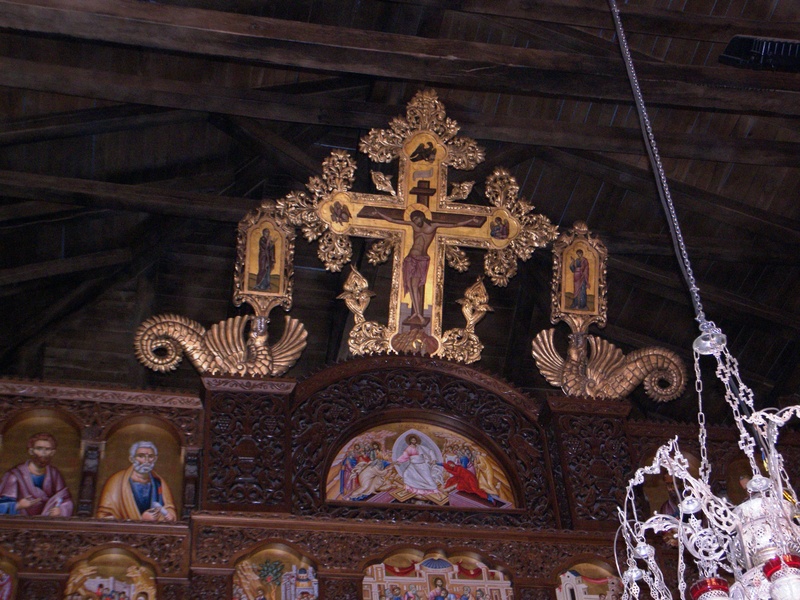 It is followed by a taller colonnade that supports the despotic icons and constitutes the iconostasis itself, while the Third Zone is a composite heavy epistyle peaked by the representation of crucifixion between dragons and icons of the Virgin and John. 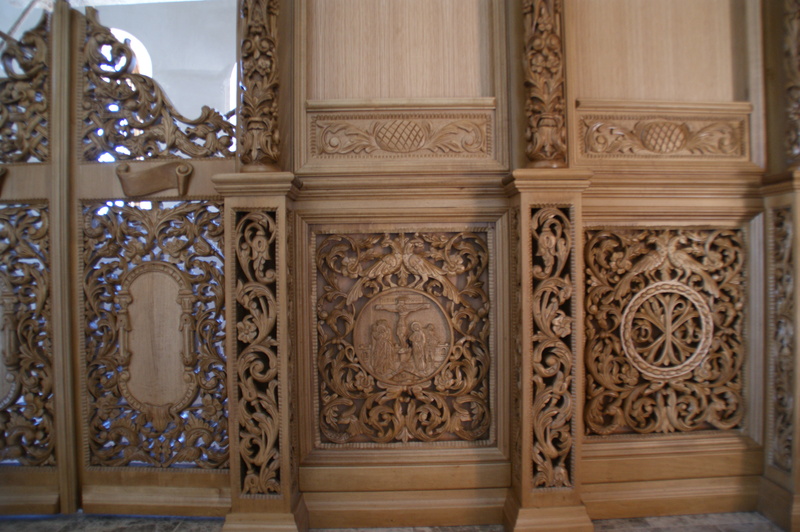 This specific task has a particular difficulty. 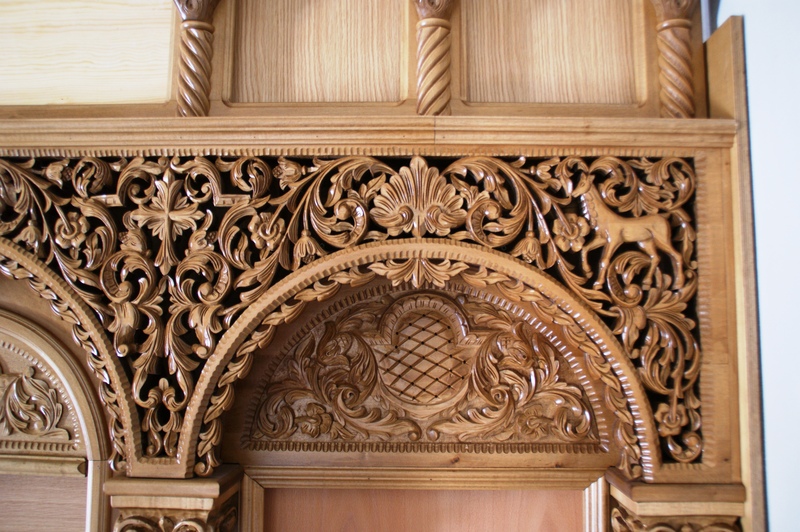 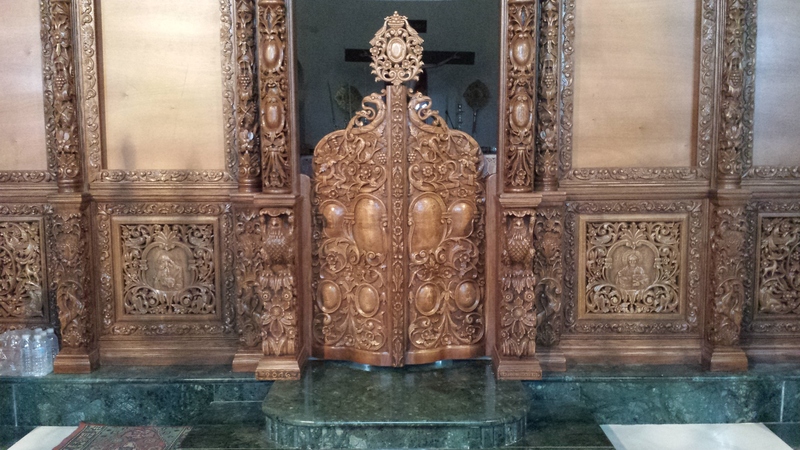 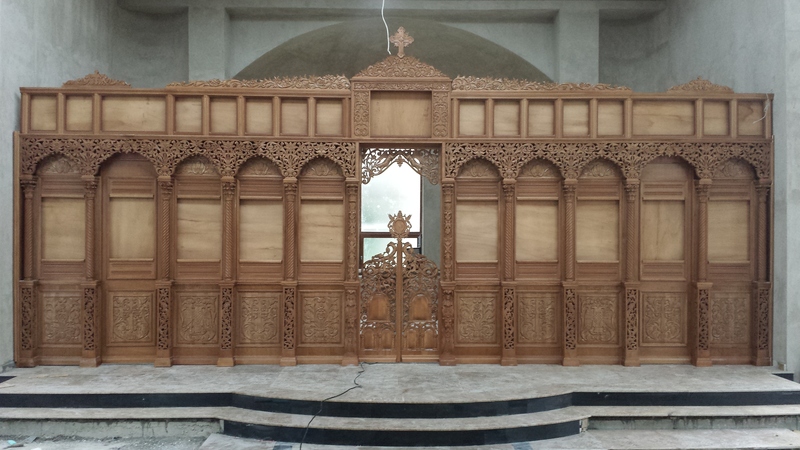 A large-scale work that requires skilled artisans as well as the right preparation of the materials. 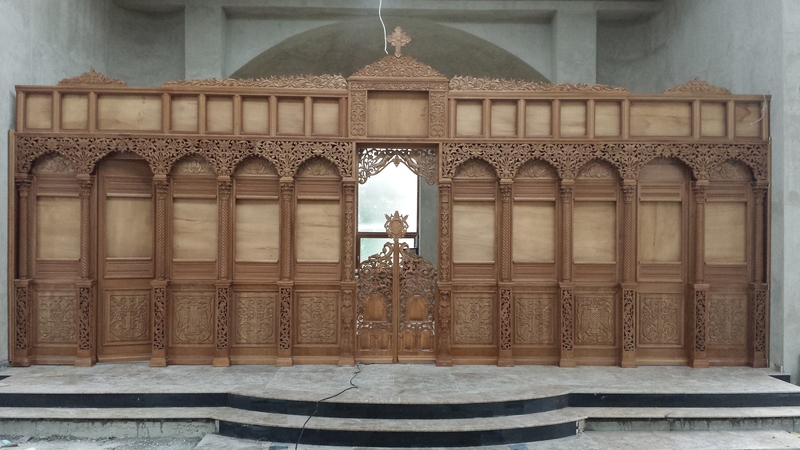 The creation of such a project is a point of reference for our work.